I am going to try to cover items which Dee Dee has not covered, so as to not duplicate interesting facts (I hope…..this may be hard to come up with 12 more, but she’s right, it is making me think). 1) I am a mother of 4 kids (3 are biological). 2) I come from a family of 7 children, in which I fall directly in the middle (middle-child syndrome). 3) Recovery is also a path I follow. I have been sober for a few 24-hours. 4) I try to always remember WHERE I have come from, and take NOTHING for granted. 5) My occupation is in the automotive field. I previously managed an auto body shop for 13 years, and am currently “Detailing”, until JillCards takes off and makes us famous and stinky rich. 6) I love forensic shows, such as “The 1st 48”, “Forensic Files” and “The Investigators”. 7) I ride a Harley-Davidson motorcycle. 8) I was previously married for 12-1/2 years to the father of my children, stayed single for 15 years, then married the woman of my dreams, last May (2010). 10) I use words that sound good to me, even if they are not in the Webster’s Dictionary (Funner, Salavitate, etc). 11) My favorite color is yellow and my favorite flowers are sunflowers. 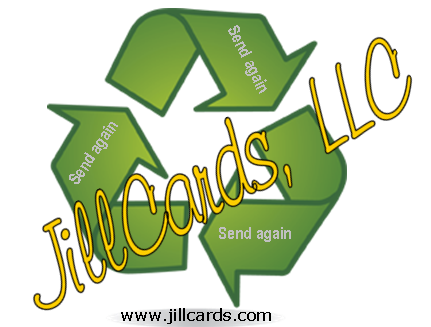 Posted on January 4, 2011, in Family, Friends, General, Recovery and tagged Business, Family, Friendship, Good Friends, JillCards, Recovery. Bookmark the permalink. Leave a comment.